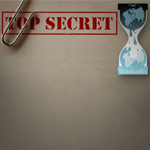 Ever since I posted How to Find WikiLeaks, I’ve received many requests for the WikiLeaks Insurance File. I have the insurance file, but since it is encrypted you may prefer to download The WikiLeaks Site Archive. It contains all of the information currently available on the WikiLeaks site. Here is a link to the file that doesn’t require a torrent client, but does require Java to be installed WikiLeaks Insurance File. To download the WikiLeaks Insurance file you will need a bittorrent app. I personally prefer Vuze because it is easy to use and free like all the other bittorrent apps. You may be able to find other versions of the WikiLeaks Insurance file with Vuze by just installing it and then searching for “WikiLeaks Insurance File”. What is in the WikiLeaks Insurance File? Only members of WikiLeaks know. Julian Assange has only said that a key will be made available, to open it if something grave were to happen to the WikiLeaks staff. I won’t speculate on its contents because I have no connection to WikiLeaks or anyone else of importance. I hope this article gets you the information you desire. as nobody else understand such detailed approximately my problem.